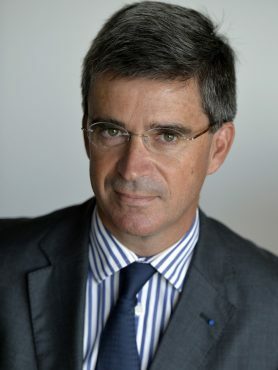 Bruno Angles is a Managing Director of Credit Suisse and CEO Credit Suisse France and Belgium. He supervises all the bank’s franchises across France and Belgium. Mr. Angles joined Credit Suisse in April 2016 from Macquarie Infrastructure and Real Assets, the world leader in infrastructure funds management, where he served for almost ten years as Senior Vice President and then President of France. During his time with the firm, he was notably appointed Director at Société des Autoroutes Paris-Rhin-Rhône, Director of Brussels Airport and also served as Chairman of Arlanda Express in Stockholm. In December 2014, he was chosen to represent the interests of all the toll-road operators during long-lasting negotiations with the French government, securing the win-win agreement signed in April 2015. Mr Angles started his career at the Ministry for Public Works, Transport and Tourism, where he was notably responsible for issues related to the road and motorway networks, as a special adviser to the Minister. In 1994, he served as the Chief Executive Officer of the Société du Tunnel du Mont-Blanc. Two years later, he joined McKinsey & Company, where he was elected Partner in 2000, and advised large industrial clients as well as both investment and private banks, while leading the ‘Post-Merger Management’ practice at European level. In 2004, he was appointed as CEO of Vinci Energies. Bruno Angles is an Officer of the French Légion d’Honneur and an Officer of the Ordre National du Mérite. Mr Angles is graduated from the Ecole Polytechnique, Ecole Nationale des Ponts-et-Chaussées and Collège des Ingénieurs. Nos compétences sont-elles périssables ?